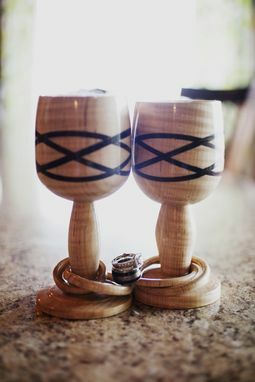 Celtic wedding goblets made with segmented wood. 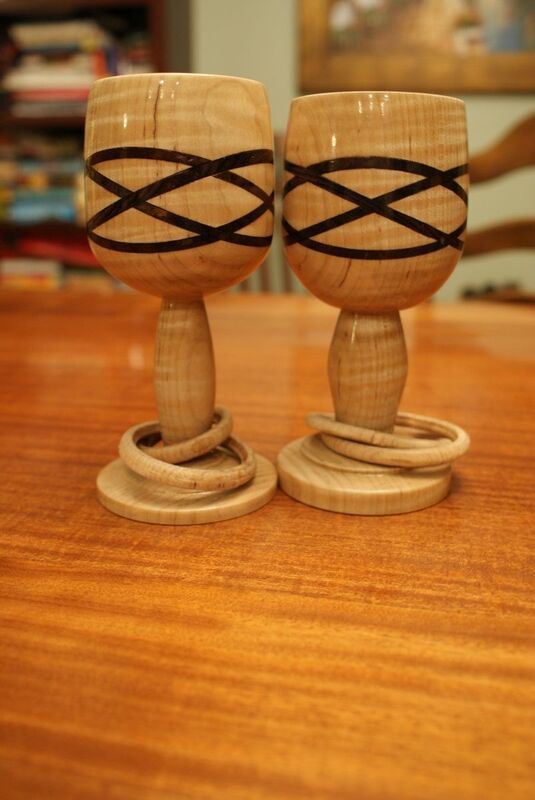 The first ones pictured are Curly Maple and Rosewood. 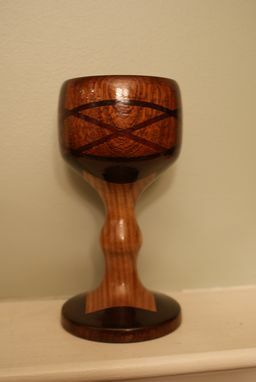 The second is Ash, Sapele and Padauk. We can exchange the wood for one of your choosing.